Nú vantar herslumuninn á að koma húsi Samúels í Selárdal í notkun! Samúel Jónsson, the artist with the child's heart, passed away 1969. The museum exhibits the works of artist Samúel Jónsson who died in 1969. Samúel´s buildings and sculpture garden were his last projects, the restoration team is now seeking funds to be able to open a visitor's centre on the site. This project has been successfully funded and is now executing. 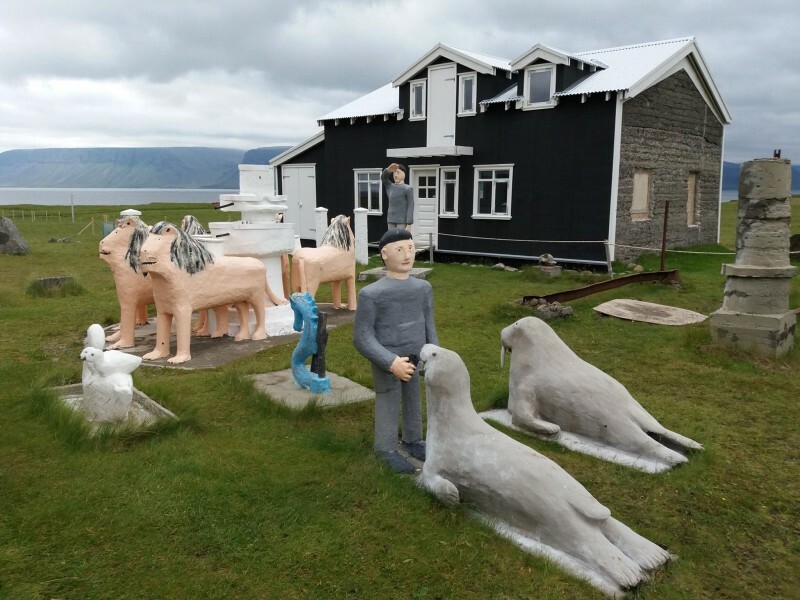 The name of Samúel Jónsson does not have much meaning in the context of Icelandic art but according to art theory it would be regarded as naive folk or ‘outsider’ art. However, it must be said that Samúel was among the first Icelandic artists who didn´t let lack of material and resources prevent him from implementing his ideas. Samúel did not receive great recognition for his art, although he got some coverage in the press by friends and visitors. He experienced the beginning of tourism in Selárdalur and he really enjoyed showing his work to curious visitors.